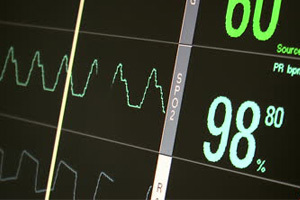 An EKG Technician is a very valuable member of the Allied Health Care Team. A doctor's diagnosis of heart disease is based on the readings and interpretation of the EKG tracings. The program is designed to teach future EKG Technicians to administer electrocardiogram. A Doctor’s diagnosis of heart disease is based on the readings and interpretation of the EKG tracings interpretation. The EKG is done before and after surgeries, during physicals and examinations of the patients over 40 years old, patients with a history of heart disease, patients that are experiencing chest pain, or when a Doctor thinks the EKG procedure is necessary. Flexible payment plans available. Our hope is that you will be motivated to advance further in your career and will enroll into our HealthCare degree programs. High graduation rate at ASA is indicative of the success of our comprehensive approach to education!